Our in-house designers use industry-leading software to “value engineer” Nascor floor systems. 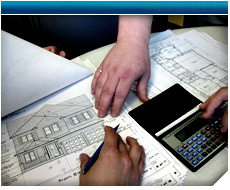 They understand house design, framing methods and – of course – Nascor product capabilities. They make sure that the performance of your floor is optimized and the cost is minimized. When the approval of a Professional Engineer is required, we provide Engineering services through our in-house Engineers.